Here’s another weekly round-up of news, previews, and features from Pocket Gamer, 148Apps, and the rest of our sister sites. On our Youtube page, James Gilmour reviewed the narrative adventure adaptation of the book The Pillars of the Earth, a complex historical tale that revolves the village of Kingsbridge, a construction of catherdral, and an intersecting cast of characters from various walks of life in the 12th century. Over on Pocket Gamer, Dave Aubrey offers tips and hints for the recent puzzler Vandals, from how to plan your movement across levels more effectively to which tools and abilities are most useful in certain situations. 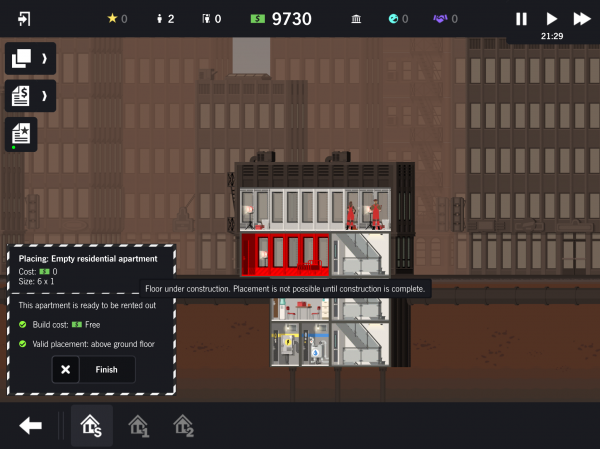 And finally, Campbell Bird on 148Apps writes about how to improve your construction and management skills in skyscraper building sim Project Highrise. Properly managing builders and which scenarios are best to practice with are among the useful advice provided in the guide. For those stories and many more, be sure to visit our fellow sites, and keep an eye for more weekly round-ups on upcoming Fridays.